I've been sweetly surprised by the number of inquiries I've received from other ladies about how to start a blog. And while I certainly don't have all the answers, I do have some tips and advice to share from my own blogging experience. 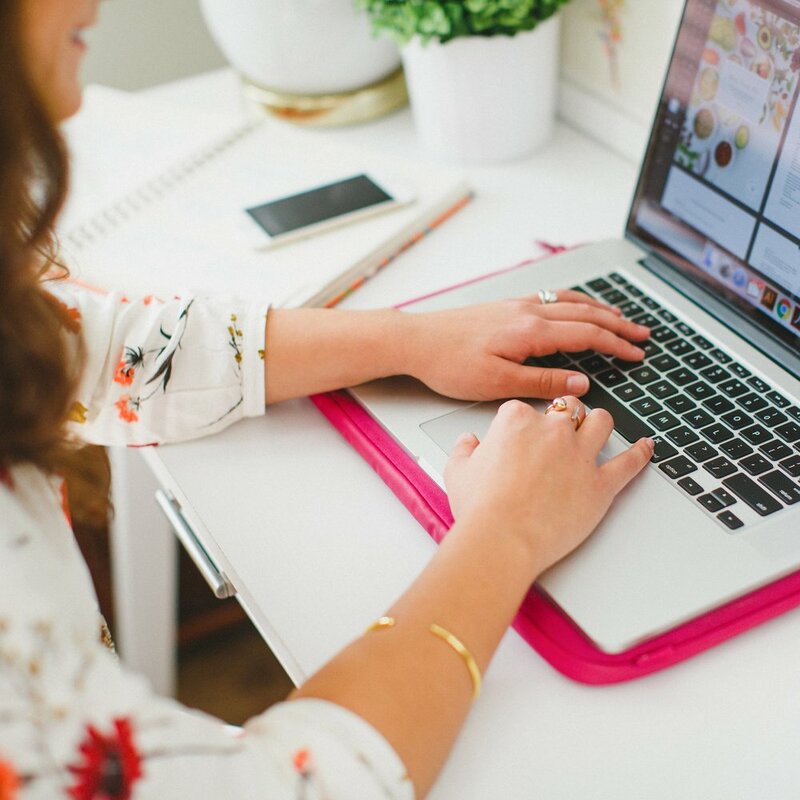 It's no secret that I'm passionate about blogging, and if it's something you're interested in, too, then this new series is for you! But before I dig in to all of the good stuff - purpose, content, platforms, design - I'm giving you a little background on how I got here. Calling my last semester of college "chaotic" is an understatement. I had 20+ projects to design for my senior portfolio, 18 credit hours to complete before graduation, a part-time job at State Farm, 5 aerobics classes to teach each week, babysitting jobs each weekend, and oh yeah! a ring on my left hand and a fall wedding to plan. What in the world was I thinking? Pure craziness. When I had some spare moments, I started reading blogs of all kinds - lifestyle blogs, food blogs, fitness blogs, design blogs. Their stories, advice, and how-to's drew me in, and I enjoyed getting to know the ladies behind the blogs. As I followed along with their posts, I considered starting my own blog. Between all of the activities that were filling up my planner, I certainly had a lot to write about. So I started a little blog called This Sweet Season to document college graduation and all of the fun events leading up to our wedding. I formed an account on Blogger, prettied up a basic template with fun fonts and colors, and began writing. I remember feeling so nervous hitting "publish" on those first posts and even more nervous to advertise my new blog on social media. But the response was pleasantly surprising - a handful of people were actually following along with me! I never shared much of my design work in those early posts. After 4 years of art projects and class critiques in college, I took a much needed vacation from anything design-related. But inevitably, I picked up my sketchbook again and began sharing designs and doodles on the blog. Even then, I didn't consider that my blog would ever become design focused; it was just another facet of my life that I wanted to share. My readers (still mostly friends and family) were positive and encouraging about the design work that I posted, so I started designing free monthly printables to share with them. Around Christmastime I designed a couple monogram art prints as gifts and that's when I had an idea to open up a print shop on Etsy. I used the blog to promote the shop, which I also named This Sweet Season. Before I knew it, blog followers were asking me to design custom projects - wedding invitations, custom art prints, shower invitations, birth announcements. The blog evolved from a place for me to recap life events to a place where I could share about my life and my latest design work. My readership grew, and for the first time I was able to envision what my blog could look like long-term. Fast forward one year to last October. Jake and I knew that we would be moving to Charlotte in January so he could pursue seminary. The blog was doing well but I felt like I had hit a wall. The name This Sweet Season didn't feel fitting for what I was trying to achieve with my blog any longer, and while I enjoyed the print shop on Etsy, I had an itch to switch things up a little. Sometimes you just need a clean slate and a fresh start. The type-A in me has always longed to combine my design eye with my love of organization, so I decided to design a planner. 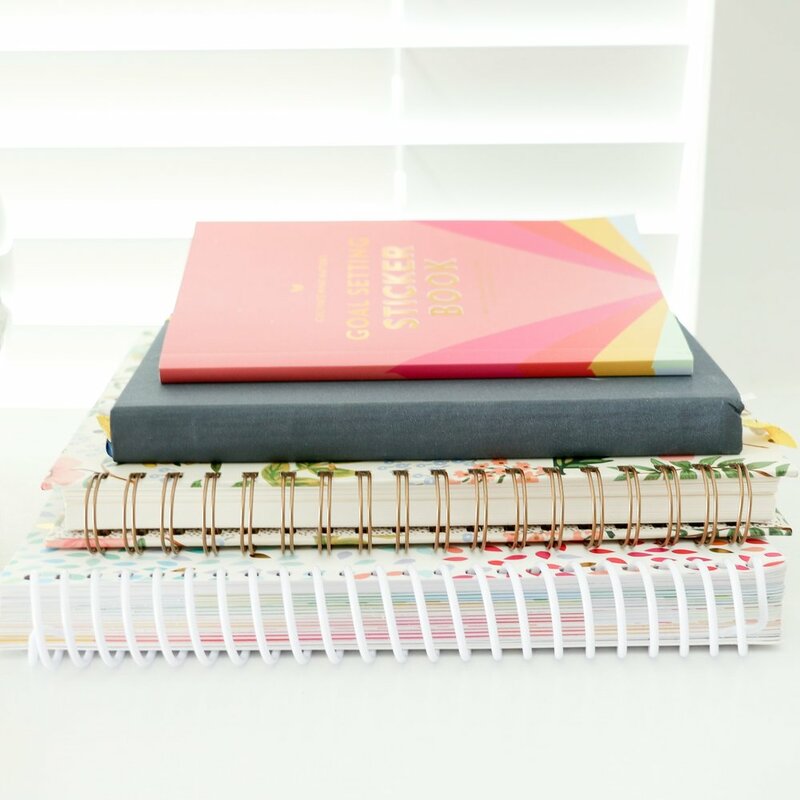 And not just any planner, but a planner that could be tailored to all kinds of ladies - students, professionals, and mamas alike. So I switched the name to Elle & Company (the meaning behind that name is explained in an upcoming post), created the Daybook Planner and all of the inserts, invested in headshots and product photography, and spent a couple months designing the new branding and a website. I launched Elle & Company five days after we moved to Charlotte. I wanted to continue to showcase my design work on the blog and share about my life, but I also wanted it to be a place that encouraged community. I began networking with other ladies in similar fields and featuring them on the blog for Coffee Dates. I carried over successful blog series from This Sweet Season, the most popular one being Monday's Letters. And I began to blog on a consistent basis - one post each weekday. And that brings us to the present. Since the launch of this new space 5 months ago, the blog has continued to grow and change. My readership has increased over time, I've begun to find my niche and my audience, and I've learned a lot about blogging in the process (both what to do and maybe even more importantly, what not to do). What started out as a fun way to record life events has evolved into a space that's allowed me to get passionate about design again, showcase my design work, share snapshots of my life, meet new friends, and (hopefully) inspire others in the process. Although I'm by no means a "blogging expert," I'm excited to share with you the things that I do know about this ever-changing blog world. And I'm even more excited to see how this series will help you along the way! I want to hear your story! Do you have a blog that you would like to grow or are you considering starting a blog? What topics would be most helpful for you in this new series?